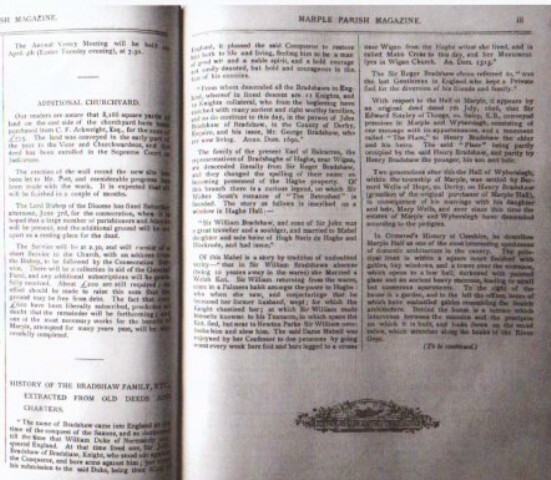 Photocopy of two pages extracted from the Marple Parish Magazine 1893/5 headed " History of the Bradshaw Family, etc. 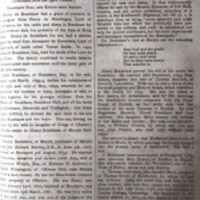 Extracted from Old Deeds and Charters" giving history of Bradshaw family from the time of the conquest of the Saxons to the death of Thomas Isherwood in 1839. 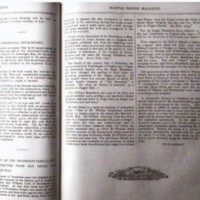 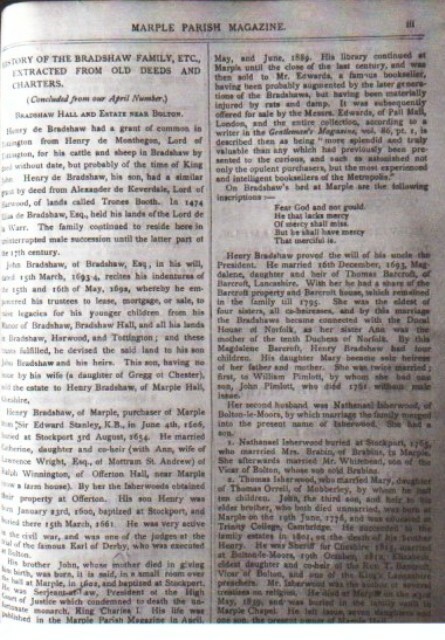 “Extract :History of Bradshaw Family : Marple Parish Mag : 1893/5,” Marple Local History Society Archives, accessed April 24, 2019, http://marplelocalhistorysociety.org.uk/archives/items/show/2345.